I just wanted to post a quick message to direct you to a blog I have just written for the National Council of Voluntary Organisations (NCVO). It is about the British Academy Project for which I am the Research Assistant and provides information for voluntary organisations on how they can get involved in the first stages of the ‘Digitising the Mixed Economy of Welfare in Britain’ project. You can also register for our launch event on 5th of June, Recording the Voluntary Sector. We will have speakers and workshop sessions on a range of different topics including funding, digitisation, depositing archives and collaborating with academics. Full details and registration here. Any questions, feel free to contact me via the project blog or here! Thanks. This entry was posted in Events and tagged Archives, British Academy, events, Research Assistant, Sources, Voluntary Organisations on May 11, 2015 by cclements29. In an earlier blog post I talked about my visits to wild archives and some of the problems inherent in using these kinds of sources. At the time I was aware of the Campaign for Voluntary Sector Archives and the work Georgina Brewis had been doing, for example her blog for NCVO Eight reasons charities should be interested in their archives. 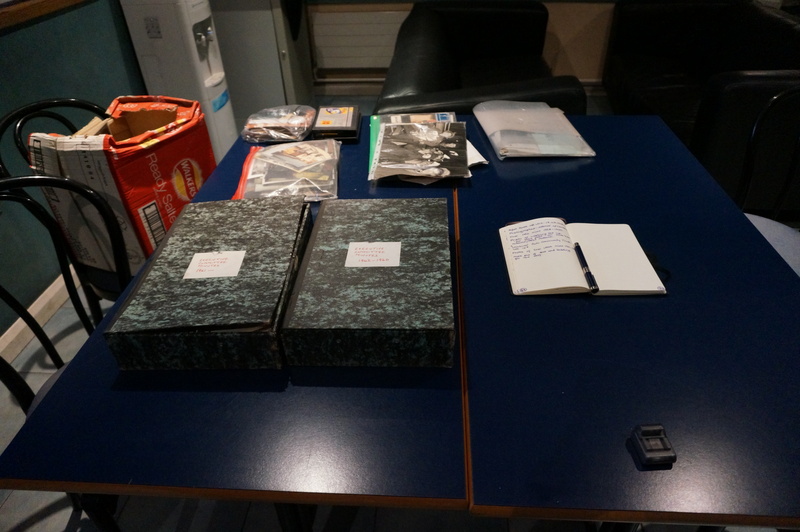 A surprisingly well-ordered wild archive, but what should the organisation do with it in the long term? Georgina has since put in, and won a bid for funding for a British Academy Research Project on Digitising the Mixed Economy of Welfare in Britain which aims to look at best practice and practical guidance for voluntary organisations on digitising and preserving their archives. I am delighted to have been appointed as a part-time Research Assistant on this project. Unsurprisingly, I wholeheartedly agree about the value we should be placing on voluntary sector archives. Not only are they invaluable to researchers but they can also be a huge asset for the voluntary organisations themselves; they are an evidence base, they contain crucial insights into an organisation’s history and identity and they contribute to a wider understanding of the place of that organisation in our society. Even outside of academia, understanding the full history of welfare and society is important at a time of significant change in our welfare state. Without recourse to the archives, histories and identities of voluntary groups, their role and importance may be lost in wider and public understandings of what welfare is, as well as what it has been. I have several exciting challenges in this Research Assistant role; organising the launch event at the British Academy on the 5th June 2015, learning about digitisation and records management, drafting guidance for voluntary sector organisations, and piloting and refining this guidance with voluntary sector partners. There will be updates on the project via the NCVO blog, voluntarysectorarchives.org.uk, the University College London Institute of Education and a range of partner organisations. I will also be posting some updates here about my role and perspective. In the meantime, I have plenty to be getting on with! This entry was posted in Digitisation, Events, Methods, Research and tagged Archives, digitisation, research, Sources, voluntary action history, Voluntary Organisations, Voluntary Sector, welfare on February 7, 2015 by cclements29. 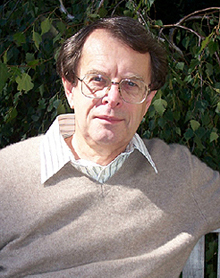 This entry was posted in Events, History, Methods, Oral History, Reflection, Social Policy and tagged CPAG, methods, NGOs, Oral History, Policy, Poverty, research, social policy, Sources, Twentieth Century, unemployment, voluntary action history, Voluntary Organisations, Voluntary Sector, welfare on January 21, 2015 by cclements29. This post originally appeared on the VAHS blog in January 2013. In all of the pre-Christmas frivolity you may be forgiven for having missed an article in the Observer late last year, detailing how one in six charities could face closure this year. In the cold light of a New Year when many households are tightening belts and we have already seen some high-profile casualties on our high streets, it is striking to think that we may lose such a large proportion of our charities. When so many voluntary organisations provide much-needed services in straightened times, this raises a question of how society will fill the void they may leave and what the voluntary sector will look like by the end of this Parliament. While concern about the future of the sector is valid in the face of a stagnant economy and budget cuts, history shows that voluntary action adapts and rises to the challenges of circumstance. 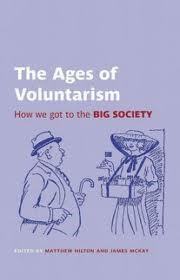 More recent literature on voluntary action history, for example from Matthew Hilton in his edited collection on The Ages of Voluntarism, tends to stress the diversity and adaptability of voluntarism. It seeks ‘to tackle specifically the decline narratives’ and ‘champion interpretations of continuity and change’. One of the ways recent historiography on voluntarism has done this is by shedding light on previously neglected areas and inviting us to consider voluntary action in a wider sense. By seeing the history of voluntary organisations as one of ‘constant renewal and adaptation’ we can perhaps more optimistically anticipate what the sector may look like in the future. For people within the sector, the call by Colin Rochester and Meta Zimmeck, for voluntary organisations to ‘return to their roots’, might provide a starting point for this latest renewal. Despite the bleak outlook, even from Colin and Meta in their recent review of 2012, there is hope that the sector will once again prove resilient and innovative. There has also always been a vibrant, though little understood, swarm of informal voluntarism which may yet soften the blow of fewer organised voluntary services. Whatever manifests itself in the short term, in the longer term the ‘big society’ and the new emerging welfare economy will appear to historians as parts of the same continuity and change which have always characterised voluntary action history. This, at least, should offer us some reassurance as most of us start the New Year, like many charities, with a bit less money in our pockets. Matthew Hilton talks about his research into Non-Governmental Organisations. This entry was posted in Comment, History, Social Policy, VAHS and tagged Big Society, Policy, VAHS, Voluntary Organisations on January 9, 2014 by cclements29.